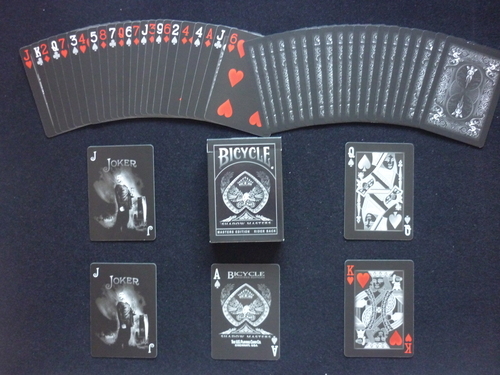 The Shadow Masters are a black version of the Bicycle Masters Edition with added shadow effects to the pips as well as the backs. 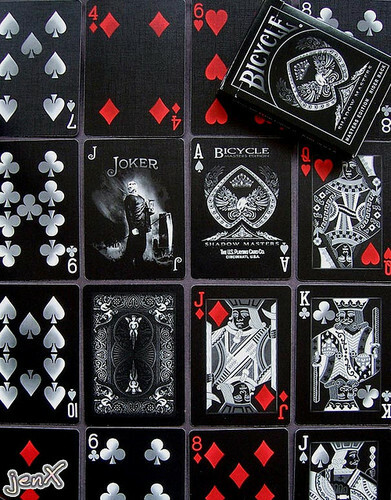 Comes with two custom jokers (one of which features a reveal), a custom Ace of Spades and a double backed gaff card. The box features a barcode reveal.